An air humidifier can be an extremely useful addition when it comes to your health and your families’ health. The air quality in your home can often go overlooked and without you even realising it you are damaging your health. As the weather gets colder the air gets drier and it is the perfect time to purchase an air humidifier. 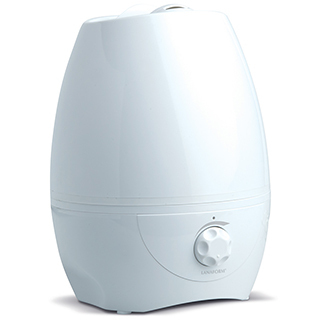 An air humidifier works by emitting water vapour into the air to raise the levels of humidity. With its modern and stylistic look the Boreas cool mist air humidifier by Lanaform restores optimum levels of humidity back into your home for the well-being of your whole family. It helps you combat an increase in static electricity in the air as well as respiratory disorders associated with dry air. Its modern and minimalist look will appeal to all members of your family as well as your guests. It will blend in perfectly with your interiors no matter what your taste or style is in décor. If you would like to help relieve your congestion and invest in a humidifier that’s gentle on the eyes and your wallet then you should try the Lanaform Boreas Air Humidifier. With a 5L capacity and 12,5h of continuous diffusion not only do you receive excellent humidification for the room but an excellent value product too. You can purchase replacement filters for your Boreas from StressNoMore.